My typical relaxer day prep looks like the picture below. According to my calendar I was due for a relaxer on December 6, 2014 but that didn't happen. Usually after my wash day, I apply Jamaican Black Castor Oil on my scalp and follow up with Vaseline 3 days after my wash day. This time around I skipped applying JBCO on my scalp and used Extra Virgin Coconut oil. Two days later my scalp started itching like crazy and I added more EVCO to soothe my scalp since it was now sore. Can you believe I actually started scratching my scalp like crazy. This was a no no pre- hair journey, so I should have known better than to do this post hair journey. I applied Vaseline on my scalp on the 4th day after my wash day and my scalp felt much better. By day 5, the itching started again and I started banging my head to ease the itching. It took me back to the days I used to rock weaves and had no access to my scalp so I would bang my head till I felt relief. Pretty sad but i still see people do this. On December 6, 2014 I said to myself there is no way I could relax my hair properly without having burns. My “surprise” bridal shower was that day so I just dragged my hair into a low bun and laid my edges. That post will be up, post wedding so stay tuned. On December 7, 2014 I decided to wash my hair and postpone my relaxer till December 11th. Detangled with my Mane n Tail detangler and a wide width comb. Deep Conditioned with my Queen Helene mixture for 45mins under my heat cap. I love how my hair feels after using this mixture because its so moisturizing. Rinsed and wrap my hair in a t-shirt for 1 hour. 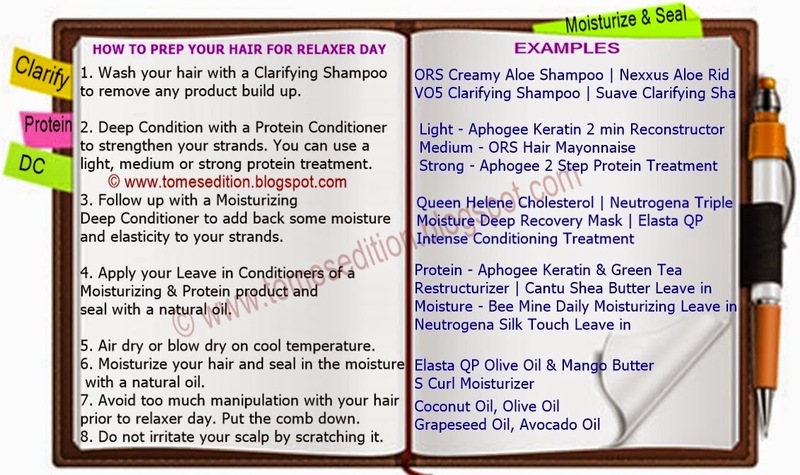 Coconut Oil and detangled very carefully. Air-dry and applied vaseline on my scalp. I’ll rock a very loose bun till relaxer day. 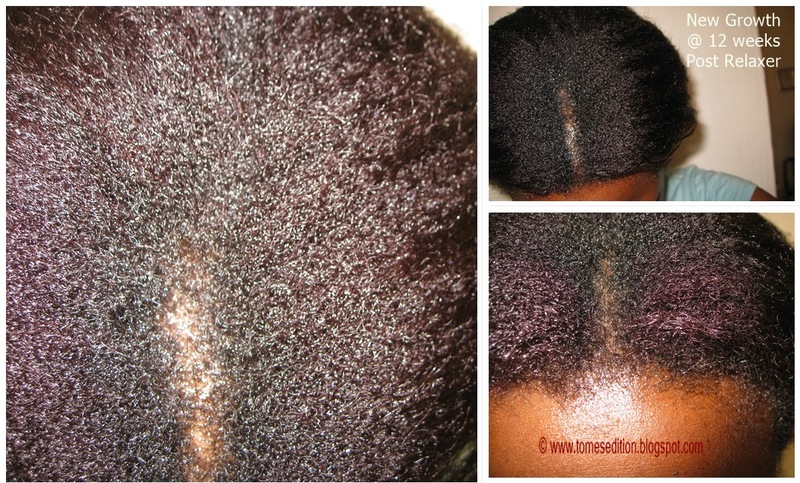 I’m currently 12 weeks post relaxer and this is what my new growth looks like. You can see the difference with my dyed hair (faint red) and dark brown new growth. It looks about an inch. My new growth @ 12weeks post. My hair still has a tint of red dye. How do you prep for relaxer day? Your new growth looks like my hair. Lol! Great post.